The famous cove of Kleftiko (Bandits' Lair) was an old pirates' hideout and now one of the most popular tourist attractions in Milos island. 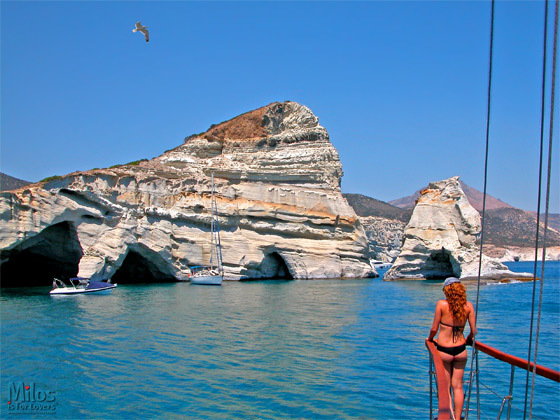 Kleftiko is famous for its crystal-clear water, elaborate caves and imposing rock formations, and is the destination for several daily sailboat cruises during the summer months. 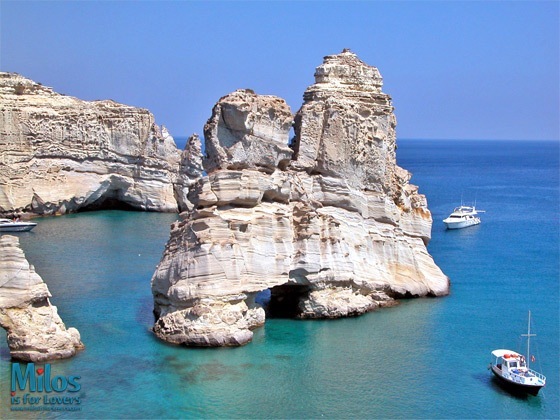 Kleftiko, on the southwest tip of Milos island, is only accessible by boat. 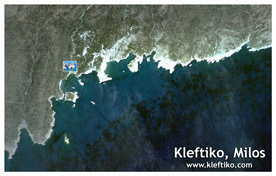 Sailboats for hire go as far as Kleftiko stopping there for 2-4 hours for swimming, snorkeling and cookout on the beach. The larger, "Round of Milos" boats go by Kleftiko making approx. a 2-hour stop for swimming before continuing their regular route around the island. 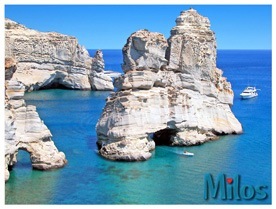 You cannot claim to have seen Milos island if you haven't visited Kleftiko at least once. 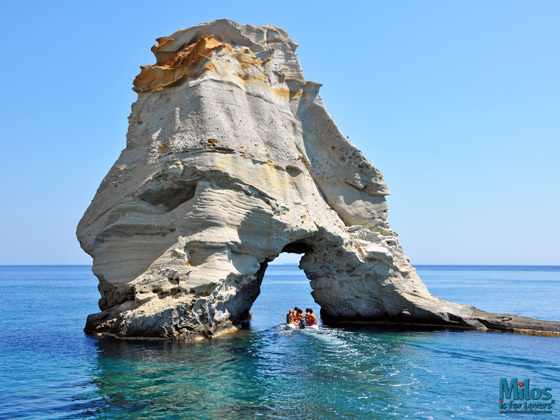 How to get there: Hop on the "Round of Milos" boat or on a sailboat for a regularly scheduled daily cruise. Most boats depart from Adamas and continue along the west coast all the way to Kleftiko.